Quilting Adventures: I guess I like the block ....! I finished hand stitched the binding on the Stardust quilt! Time to pick up a new UFO project! 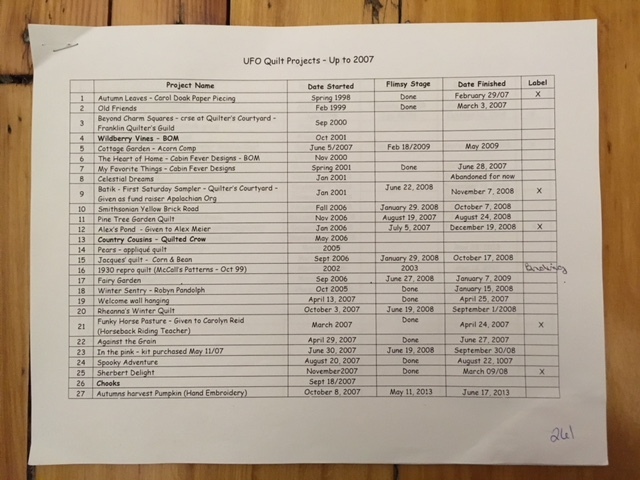 It seemed like a good idea to peruse the UFO Quilt Projects - up to 2007 list. Thanks to Stashbuster, that's the year I began to keep an inventory of the quilting projects I started. Gosh, I guess I like that block in reproduction fabrics! lol Luckily, it's a different layout! That's funny! It's a pretty block and it makes pretty quilts! Love your quilt and colours. I haven`t seen that magazine over here. Happy stitching. That is a beautiful quilt and beautiful quilting. 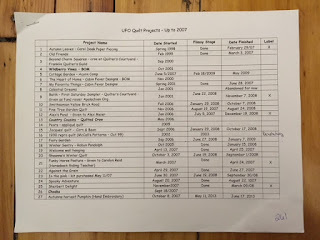 I really need to start quilting my tops, lots of UFO's. Well....it is a great block! Good idea to keep track of your projects.